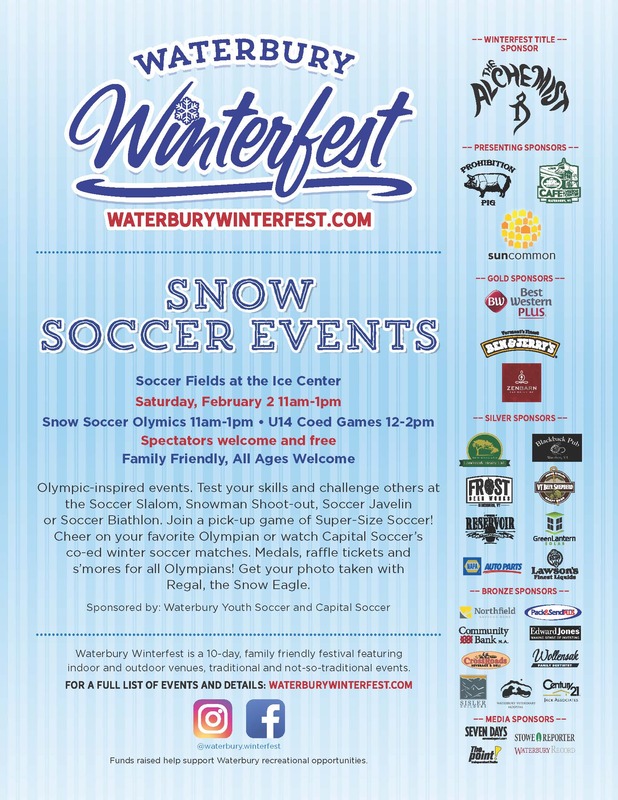 Capital Soccer Club is joining the Waterbury Winterfest this year! Come join Capital SC and our partners Waterbury Youth Soccer on February 2nd from 11 AM to 2 PM at the Waterbury Ice Center field for some Snow Soccer. WYS will be running the "Snow Soccer Olympics" from 11 AM to 1 PM on one half of the field while Capital SC puts on an 8v8 Coed Soccer Tournament from 12 PM to 2 PM on the other half of the field! Go to the Waterbury Winterfest website (www.waterburywinterfest.com) for more information about the Snow Soccer event and the rest of the 10-Day celebration that starts on January 25th!